A new medical center featuring the latest in technology and training is planned for Moscow. A new state-of-the-art medical center is scheduled to open in Moscow as early as 2017. The Russian-German Medical University will provide a full range of services —from education and lab research to treatment. The project is made possible through the support of the Agency for Strategic Initiatives (ASI), a government agency founded to promote new businesses, and active interest from the investment community. 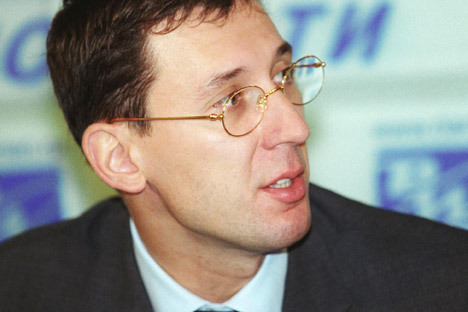 Yury Krestinsky, who proposed the concept, is no newcomer to medical innovation. In 1996, he created Pharmexpert, a well-known and authoritative marketing research centre. More recently, he has been active in improving the Russian healthcare system as director of the Public Health Institute. Healthcare has repeatedly been named a priority by the president and the prime minister in recent years, but, Krestinsky says, so far the emphasis has been on buying and procuring new equipment for medical centers, while systemic problems are not being addressed. “The problem is that often the equipment is there, but there are no specialists able to use it properly. Our medical education system just does not train such specialists. It is high time the city created its own higher medical school,” Krestinsky said earlier this year. He came up with the idea to create a medical cluster five years ago, but it was not until the ASI stepped in that plans began moving forward. “We have assumed organizational functions – getting approval from the Moscow government and the Ministry of Health and attracting investors,” said an ASI representative. To promote the idea of a medical university, the ASI’s social projects division has initiated work to streamline the regulatory framework for access by foreign specialists to teaching and research jobs at Russian higher education and medical institutions. The Russian-German Medical University is aimed at addressing urgent issues in education and healthcare, including the systemic modernization of medical training through integration into the international education space and bringing the domestic healthcare system in line with international standards for medical care. The university will be created first and clinical, diagnostic and research centers will be established out of this foundation. The medical university will be modeled on German medical universities in Bonn, Hamburg (Eppendorf) and Berlin (Humboldt-Charité) and Russian medical schools that adhere to the Bologna Process, which sets international educational standards. “The project will involve highly professional instructors from Germany, a country that has a proven record in organizing healthcare well. Beginning in their third year students will study their majors in English. Graduates will receive Russian and European-standard degrees. The use of new approaches that have been proven effective in training specialists will provide Russia with a cadre of world-class professionals,” Krestinsky said. The project, which is expected to cost approximately $13 billion, will be completely privately financed. The exact site of the cluster is not yet known, but it will be built in the new section of Moscow, to the southwest of the current city center.